Yaris Based Defect Quickly, Physics paper used to beat traffic ticket, Physicist claims victory over traffic ticket with physics paper, University of California scientist Dmitri Krioukov says he's proved he didn't run a stop sign. 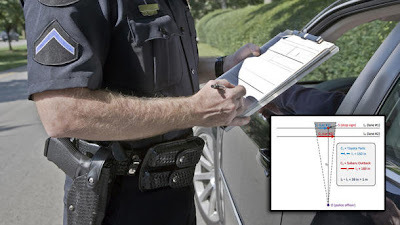 A physicist at the University of California San Diego used his knowledge of measuring bodies in motion to show in court why he couldn't be guilty of a ticket for failing to halt at a stop sign. The argument, now a four-page paper delving into the differences between angular and linear motion, supposedly got the physicist out of a $400 ticket. If you want to use this excuse, you'll have to learn a little math -- and some powers of persuasion.